Bring Productivity and Efficiency to Your Extended Programs. Summer Camps? Extended Day or After-School Programs? You Need Ascendance Summer School Module. Summer camps and other programs can vary widely, and so can their administrative needs. Some are academic summer schools that might count towards graduation requirements. 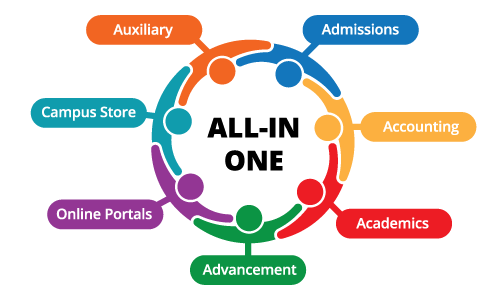 If that’s you, you’ll need a complete student information system, with grading and transfer of credit to student transcriptions. Other summer schools are unrelated to mainstream school activities. And many institutions operate night classes, extended day programs and other special programs running in tandem with the school year but unrelated to its schedule. To manage these programs, schools need an information system that is totally flexible. It needs to be able to handle multiple programs simultaneously, just like your school and staff. But it also needs to integrate seamlessly with your student information system and your accounting software. Ascendance Summer School is that system. It is a feature-rich information and management system designed specifically for the unique needs of extended programs: covering everything from summer schools with academic components to athletic camps, ad-hoc programs, and after-school care. Learn more about our Ascendance Summer School module and its add-ons by downloading the product sheet. ✓ New student entry wizard to tie new registrants to existing student records where appropriate. ✓ Track and report on program inquiries. ✓ Maintain checklists of forms or other requirements with automated mailings for missing items. ✓ Unlimited programs, courses, and sections. ✓ Quick and easy entry of registrations and payments, with wait-list and transfer processing. ✓ Full grading and attendance capabilities; transfer grades for summer school courses to student transcripts. ✓ Easy to create customized mailings to registrants and parents. ✓ Extensive reporting and data export for summary and detail data and schedules. ✓ Integrates with Registrar and Accounts Receivable to share student and payment data. ✓ Integrates with General Ledger for payment and revenue posting. ✓ Add the Online Summer/Program Registration option for My BackPack™ to allow parents to register, select courses and programs, and make payments online. ✓ Add the My BackPack™ Student/Parent Community to provide student and parent access to homework, grades and comments, and biographical data.